Welcome to Crisp, a unique fitness studio in Scarborough offering yoga, cycling, boot camp, personal training, and fusion (combo classes). We can't wait to show you how different we are! Announcing 200 Hour Yoga Teacher Training at Crisp this Fall! We are super excited to announce that Jacqui Bonwell is offering 200 Hour Yoga Teacher Training with Katie Beane and Erica Magro Cahill this Fall 2019 at Crisp! We offer heated vinyasa classes featuring strength-building poses that flow easily from one to the next. 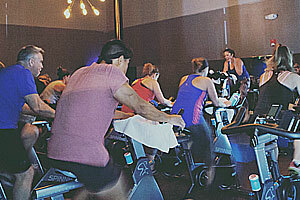 Our cycling classes increase energy, relieve stress, improve endurance, and burn calories. Our boot camp classes feature a wide variety of interval training to build strength and endurance. 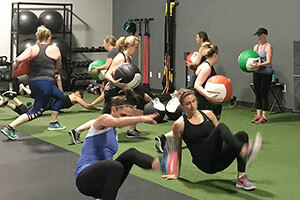 Our certified trainers offer customized workouts that deliver results for clients of all levels. Learn more about our unique combo classes.